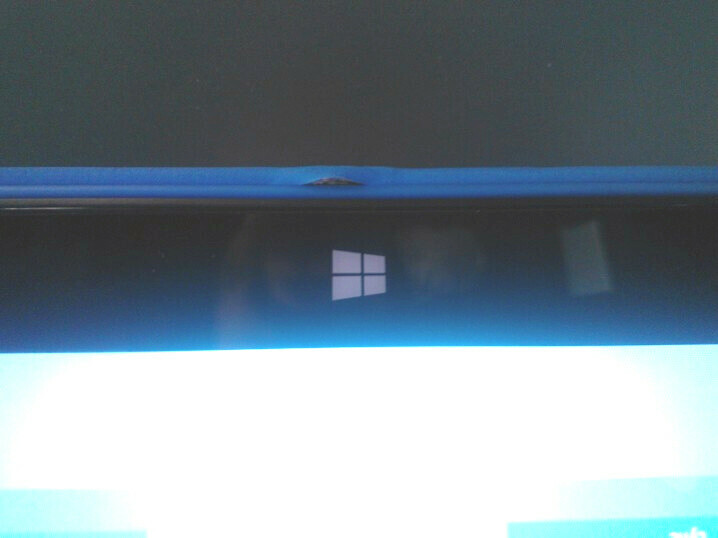 Uh oh, it looks like at least a few Microsoft Surface owners are having issues with their tablets. More specifically, the problem revolves around the device's Touch Cover – the accessory that acts as a hardware keyboard and doubles as a protective case when the tablet is not in use. According to multiple reports, the cover's seam is literally coming apart after just a few days of usage. When one of the users went to a store asking for a replacement, the representative told him that at least two other people were having the same problem. Users from both the US and the UK have ended up with faulty Touch Covers, meaning that the issue might not be isolated to just a single defective batch. It is speculated that the seam might be too weak, which is why it could break when the Smart Cover is folded, yet that hypothesis is yet to be confirmed. The news about the faulty covers comes only a day after we reported about the sound issues with the Microsoft Surface. As a side note, although the Smart Cover retails for over $100 online, it actually costs about $16 to make. In case you happen to own a Microsoft Surface tablet too and your Smart Cover is also affected, spread the word by dropping a comment! "According to multiple reports" evidence? How can they even call Surface a tablet? It's a gimped laptop with a touchscreen. The fact that portrait mode is completely useless makes it, if we do stipulate that it is a tablet, the worst tablet ever. Buy an iPad or a Nexus 7/10, and you can have a real tablet with real apps. Totally biased... or the best devil's Advocate ever? More raw capability to do what, exactly? Last-gen garbage hardware,no software for it, no cellular solutions, and it still runs a mobile OS, and one with less features, at that. It's junk with a bloated mobile OS. So can you tell me what does the surface rt has apart a gimmicky keyboard over the "galaxy player"? Even the ipad is a better choice.. Calling the Surface a gimped laptop with a touchscreen is like calling an iPad an inflated iPhone with no calling abilities. And calling it the worst tablet ever is completely unfair to all of the horrible cheap Android tablets available. You're entitled to your opinion, but most of the complaints I hear ring hollow. From my hands on the build quality was solid, and the hardware meets or beats most tablet specs currently out there. The RT has a lack of apps at the moment, but many staples are available and since apps for these devices can also be compatible with full Windows 8 with minimal code changes you can bet this catalog will expand rapidly within the coming months. Lets not forget this was said about the original iPad at it's launch as well when most iPad apps were scaled up iPhone apps. If you want to be an early adopter this is something you should be prepared for. Not to say it's perfect. While I wouldn't call the portrait mode useless, it's implementation can be improved. Also while the screen resolution and clarity isn't bad by any means, the retna display and new nexus 10 display are clearer. But it has advantages that other tablets often don't, key among them being wide support for 3rd party usb devices. Expandable storage via SD support is very handy and a frequent complaint against Android/iOS offerings. Also comparing the thickness of the Surface with Touch Cover or Type Cover to an iPad with a bluetooth keyboard case leaves the Surface as the thinner option. If your sole concern in buying a tablet is the number of apps available, the existing OSs have the advantage so go with those. But for many a Tablet does not replace the need for a full laptop for some tasks. The Surface may come the closest yet to filling that role. The Surface Pro even more so with legacy x86 program support. Microsoft Marketing? How much did MS say would pay for marketing, a billion? According to HW manufacturers they can not recognize higher demand for W8 or W tablets. they dont know how to use it,read the instruction manual..
What? I need to read a special instructions to use Surface?? Why didn't Nokia teach Microsoft for how to make a perfect hardware ?!! . I ordered my surface online and received it two weeks ago. I love it. There is a minor learning curve. The same thing happened to me on the touch cover. I took it back to the Microsoft store, lucky enough to have on close by. They exchanged it no problem. The new one seems to be better. Great little laptop. Wait the cover costs $16 to make yet retails for $100? Good lord, talk about a mark up, lol. Don't think I'll spring for Surface RT as it makes no sense for the money. Will wait to see what the Pro version is like, but I doubt it will be anything more than full Windows 8 on the same spec device...sigh. At least it works with windows and that is a big plus, for some people. How did they break the pad, or is it coming apart on it's own? That's just weird, and will raise eyebrows considering how much you forked over for the keyboard/cover. One thing I realize is that Apple and MS customers have a serious amount of disposable cash on hand, $500 + the keyboard $100 with windows 8 lite with limited app support...crazy. Ipad 4 $500 but you do have the App store and iTunes 600,000 apps and more. Crazy I tell you, it's all crazy. The best part is, for $500, you get a 32GB Surface that has 16GB free. That's pretty sad. My $500 iPad had less than 16GB free because of the OS. I guess that's pretty sad too by your standards. Now if you'd said that's pretty misleading, I'd be with you. But all hardware manufacturers play this game. No one specs their device with usable storage, it's always the raw number. To everyone out there, always check out how much usable storage your device will have before buying. 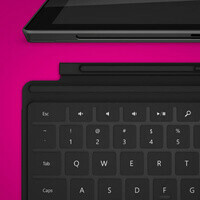 While I do agree that "it's all crazy", the Surface Pro will not be similarly spec'd. It will be running on an i5 processor (which in itself puts it leaps and bounds above the RT for computing purposes) Of course Surface RT buyers should not rely too heavily needy on computing prowess. I have said this before and I will say this again. Hardware manufacturing is NOT something what Microsoft is good at. Never get a Microsoft product at launch. We all know what happened with the first batch of xbox 360. Surface is a great product. But given Microsoft's track record, its best you wait before spending your hand earned money on it. Let them iron out all the initial problems first and then get it. Microsoft should have done what google did with Samsung & Asus for their Nexus tablets. I was very excited about surface pro. But now I guess I will watch out for Samsung Ativ Smart PC Pro as well to see how it turns out. You people are crazy, you don't even own one and your bad mouthing The Surface? The iPhone or iPad never have any problems? Get real! Get a life and stop reviewing tech you don't own. I never understood why the touch cover costs $100. It's essentially just a glorified bluetooth keyboard.